mythos | Real Art Is Better! Published January 14, 2019 at 2301 × 2853 in Paintings Commissioned during the Holidays. 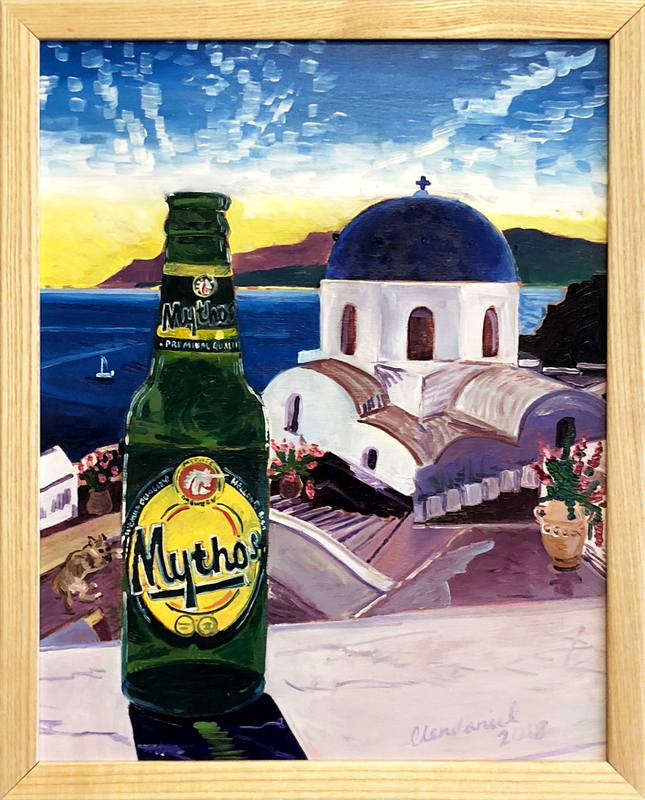 Mythos beer pictured in Imerovigli, Santorini, Greece. 11″x14″, oil on panel.